Aware of significant theoretical and methodological limitations of mainstream demographic research, demographers have seen in sociocultural anthropology a potential source of enriching their work. 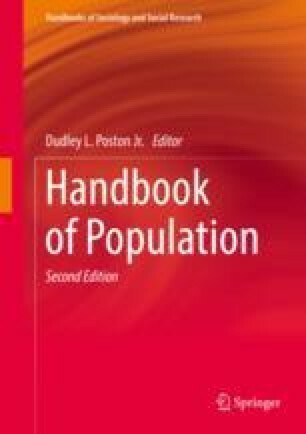 As this chapter shows, anthropologists have long been interested in core demographic topics, yet many work on these topics with little reference to the demographic literature. After discussing the theoretical and methodological reasons why demographers have looked to anthropology, including both the concept of culture and the value of participant observation fieldwork, this chapter surveys the major work by anthropologists on demographic issues. Special attention is given to recent anthropological work on reproduction, marriage, mortality and migration. Many thanks to Caroline Bledsoe and Susan Greenhalgh for their suggestions, and to Jessaca Leinaweaver and Daniel J. Smith for their comments on a draft of this chapter.